Photo: Oxfam East Africa. Creative Commons BY(cropped). Last Friday marked the International Day for the Eradication of Poverty. This date has been observed since 1993 when the United Nations designated a day to raise awareness of the need to combat poverty and address inequality. 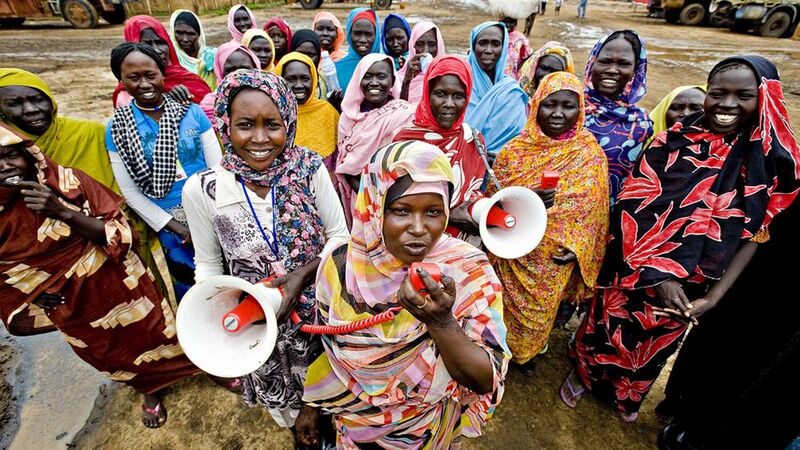 Further, the 2014 UN theme “Leave no one behind: think, decide and act together against extreme poverty” recognizes that we find ourselves at a significant moment when the deadline for the Millennium Development Goals (MDGs) — which have galvanized a large part of the international community since 2000 towards eight goals — is set to expire. Leaving no one behind has been the core ideal around discussions towards the post-2015 development agenda, which has yet to be finalized but seeks to build on the progress gained by the MDGs and will likely focus on sustainable development bringing prosperity to the world in harmony with nature. Health is also an important part of this post-2015 development agenda and is expected to be covered in a goal around maximizing health at all stages of life, referencing how poverty results in ill health due to a lack of sanitation and decent shelter, and inadequate nutrition, among other factors. The Ebola epidemic, which began in West Africa, is a strong example of how poverty and health are closely associated. The failure to address poverty and support health systems in these countries has been identified as one of the causes for the spread of new cases in Europe and the United States. Indeed, if the Ebola epidemic has taught us anything so far it is that health does not respect borders and emerging diseases such as Ebola should be of global concern following the first reported case. The current Ebola crisis points towards the need for increased global investment in health, particularly in poorer areas, not only because it is a humane thing to do but because it has proven to be a global security and development issue. Although the link between poverty and health is understood, addressing it has not been as clear-cut. Part of the problem is that we have yet to identify a single measure for poverty and well-being since this is, of course, highly context-dependent. Should we focus on inequality, vulnerability, access to basic resources or all of these? In the area of health, greater attention has been placed on reducing out-of-pocket payments, which can result in catastrophic expenditures for families who do not have money for their basic needs, pushing them further into poverty. Yet this is not the full story of poverty. Among other areas that need to be tackled are improved access to services, availability of drugs and an adequate number of health care workers. What is more, is that poverty is not unique to developing countries. A report released earlier this month found there are 124 million people at risk of poverty or social exclusion in the European Union and other countries such as the United States also grapple with poverty, especially following the economic crisis. Despite the fact that approaches to understanding poverty are wide-ranging, guidelines and policies to address poverty and health do exist at the global, regional and national levels. The question remains: how do we track whether these policies are actually working? Particularly when they are formulated far from where they are being implemented as in the case of regional guidelines for national policymaking? The Poverty Reduction and Regional Integration (PRARI) project — funded by the United Kingdom’s Economic and Social Research Council and Department for International Development — seeks to do this by including actors at the regional and national levels in the development of measurement mechanisms to understand what makes a health policy in favour of the poorest successful and how to measure changes along the way. The objective is to develop a tool that can help institutions track the progress of their policies as well as allow other actors to hold them accountable to their promises. All of these are important questions that can only support the work of organizations such as the World Health Organization, Médecins Sans Frontières and local public health officials. Let’s hope these questions receive some answers too. Seeking Answers About Health on Day for the Eradication of Poverty by Ana Amaya and Stephen Kingah is licensed under a Creative Commons Attribution-NonCommercial-ShareAlike 4.0 International License. Stephen Kingah is a researcher for the PRARI project, an initiative that looks at the connections between poverty reduction and regional integration, at the United Nations University Institute on Comparative Regional Integration Studies (UNU-CRIS) in Bruges.